0% APR for first 6 months. After 6 months, interest rate is going to be between 13.24%- 21.24%. Your creditworthiness will be decisive about the interest rate. Get more information about this from the bank staff. 26.24% APR for Cash Advance. This card includes Visa SavingsEdge opportunity. That means you can save up to 15% for purchases. You will gain 1 rewards points for $1. There is 100% protection for your card. %3 Foreign Transaction Fee per purchase. Late payment fee is maximum $49. There is not much travelling goods with the card. 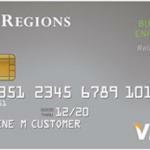 Regions Visa Business Enhanced is the best business card opportunity for you on Regions Bank. You can get 1 rewards point for each $1. You can also have advantages of Visa SavingsEdge and save your money which you spent for your business. There is no annual fee for this card. 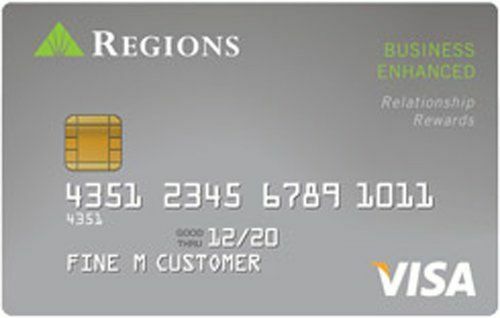 You can take a look at Regions Visa Business Enhanced reviews below. If you are already a user of the card, you can leave a review for it. If you want to have the card with an online application, all you need to do is clicking on “Apply” button above. We also recommend you to contact an online bank staff before the application. I got a huge bonus from the company about a month ago. So I can’t tell that promotions are that bad. I agree that there is not too much about travelling though. If you want to have this card, you need to wait for the right time. It also helped me to save a lot with the help of Visa SavingsEdge. I can recommend this to business owners.